“Fate/stay night [Heaven’s Feel] presage flower” (2 hours, 10 minutes) will be screened on Tuesday, June 5, and Thursday, June 7, at 7 p.m. at selected theaters. Based on the wildly popular Fate franchise that gave anime fans “Fate/stay night [Unlimited Blade Works],” “Fate/Zero,” and the hit mobile game “Fate/Grand Order,” the first film in this movie trilogy explodes with epic action and heart-wrenching drama, tied together by original author Kinoko Nasu’s unique storytelling and otherworldly cast of characters. For the first time ever, movie-goers will experience the film’s English dub along with the despair, romance, and terrifying secrets of the Holy Grail War with protagonist Shirou Emiya in the first chapter of this high-stakes trilogy. 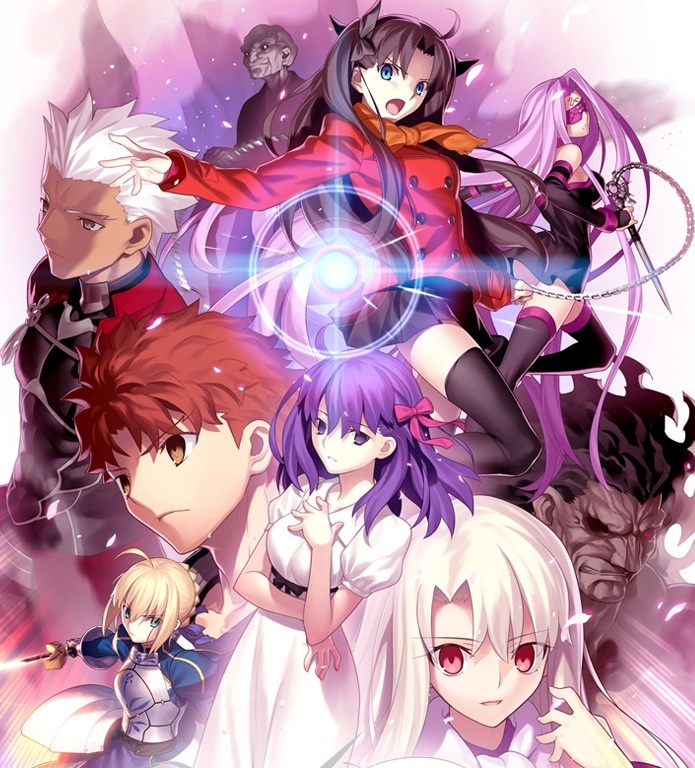 The film summons the all-star English voice cast from “Fate/stay night [Unlimited Blade Works],” including Kari Wahlgren as Saber, Bryce Papenbrook as Shirou Emiya, Mela Lee as Rin Tohsaka, Kyle McCarley as Shinji Matou, Kaiji Tang as Archer, Crispin Freeman as Kirei Kotomine, and Cristina Vee as heroine Sakura Matou. Composer Yuki Kajiura (“Puella Magi Madoka Magica,” “Sword Art Online”) provides the soundtrack for the film, and director Tomonori Sudo (“the Garden of sinners -recalled out summer-”) returns to the Fate series to craft the events of the visual novel into the complete cinematic experience. Celebrated animation studio ufotable (“Fate/Zero,” “Fate/stay night [Unlimited Blade Works],” “the Garden of sinners”) returns to animate TYPE-MOON’s work, promising all of the dynamic action of the previous installations. To locate a participating theater in your area, visit www.fathomevents.com.